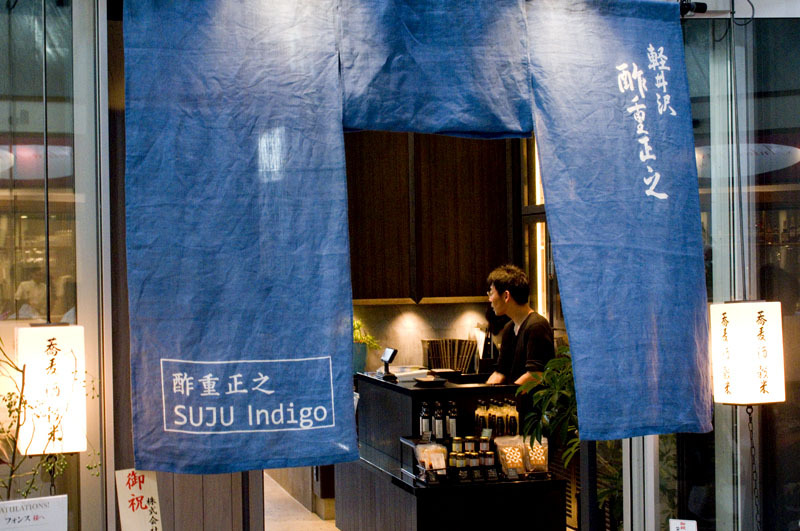 The shop sign says that Suju serves soba, but there's a lot more on offer at this stylish dining bar. 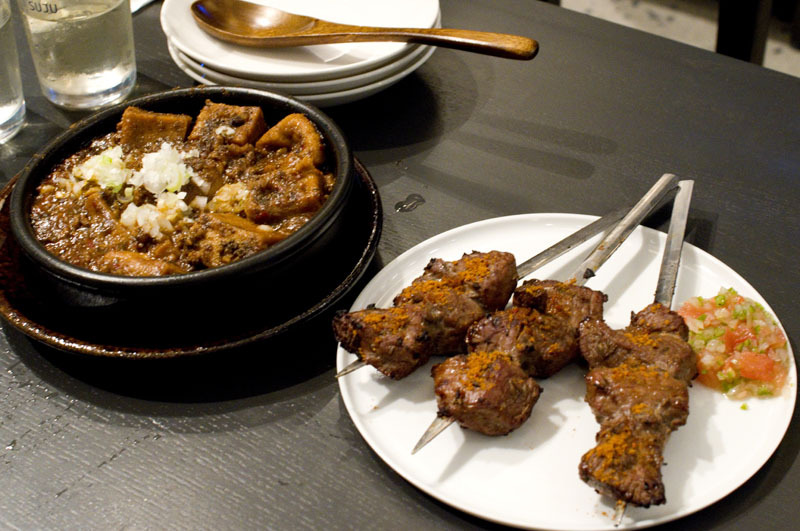 The eclectic food menu covers everything from spicy Middle Eastern-style lamb and Brazilian sausages to spicy Chinese mabo-dofu and Korean side dishes. There's a good range of soba as well, and a standing soba bar up front where you can grab a quick bowl if you're in a hurry. 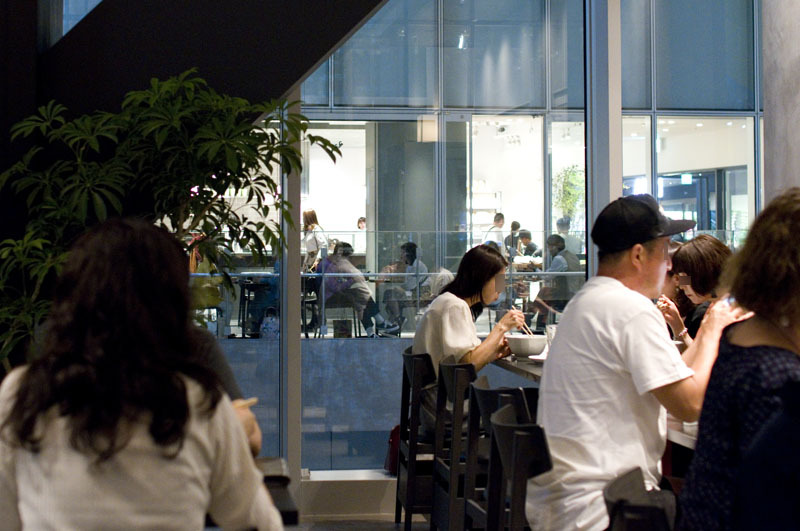 If you're not in a rush though, it's worth sticking around for a leisurely meal and a drink or two. 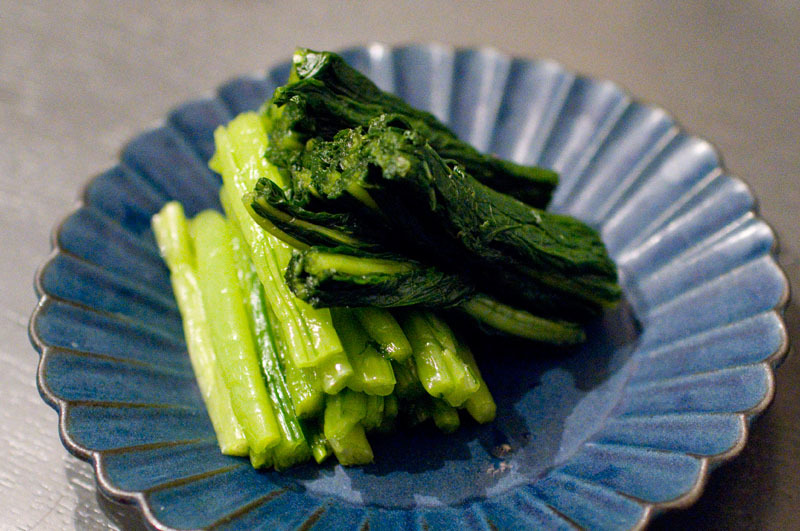 Izakaya-style small dishes like grilled chicken with shiokoji, deep-fried kawa-ebi and nozawana pickles are well matched to the Nagano-focused sake list. 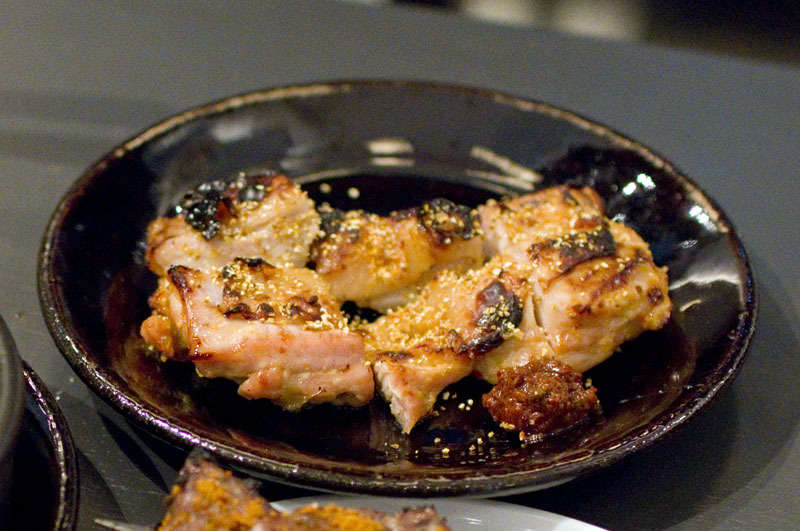 Beautifully prepared lamb and chicken skewers are surprisingly tender, and infused with an unusual mix of spices. 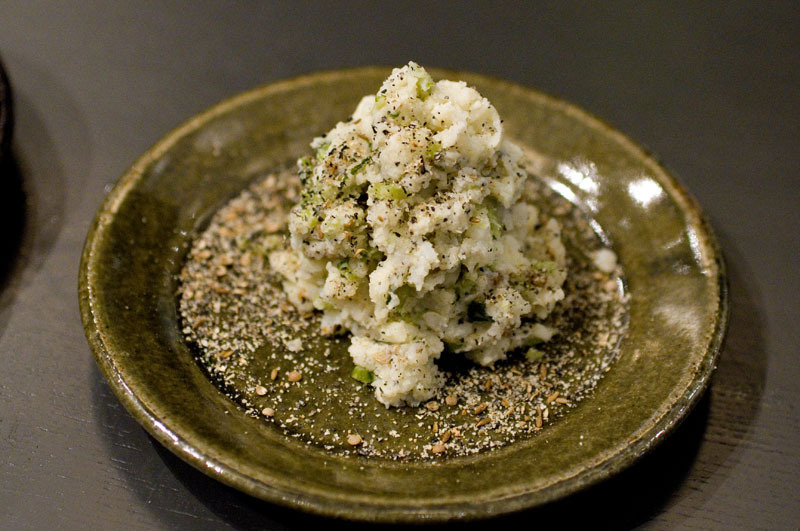 The "ethnic-style" potato salad is also excellent, and a good example of how izakayas have been flexing their creative muscles with this seemingly simple dish. 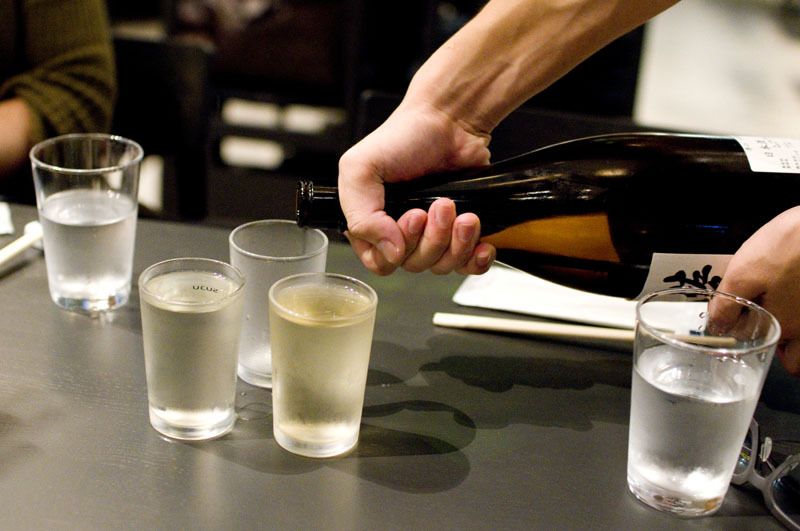 In addition to the extensive sake list, there are a few wines by the glass and several beers by the bottle. 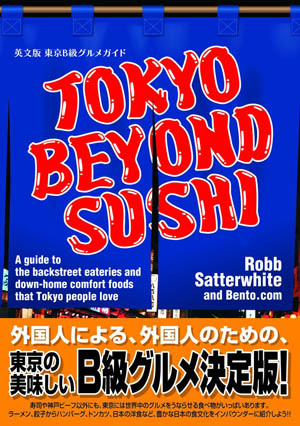 Budget around Y2500-3000 for dinner with drinks, or less if you just want soba. At lunchtime most people are here for the soba variations (priced Y650-1200), although there's also an a la carte menu of small dishes. Shibuya-ku, Shibuya 3-21-3, Shibuya Stream 2F.